*To enroll in an activity with multiple dates please click on the desired date. For activities that have been modified due to weather, refunds will be allocated on a case to case basis. Outdoor Recreation Programs provide students the opportunity to take part in a wide variety of outdoor activities at a very reasonable cost. If you are interested in kayaking, climbing, skiing, caving, rafting, surfing, or hiking, then Outdoor Recreation provides the activity for you. We also supply the transportation, instruction and equipment. Come on out and try a new sport and meet new friends. Please note all programs will run, rain or shine. The programs listed are introductions to the activities and are suitable for novices or participants unfamiliar with the sports advertised. Many programs require a moderate level of fitness and may expose the participant to cold and wet weather and snow, ice and muddy conditions. We may alter the program somewhat due to inclement weather but it will not be cancelled. 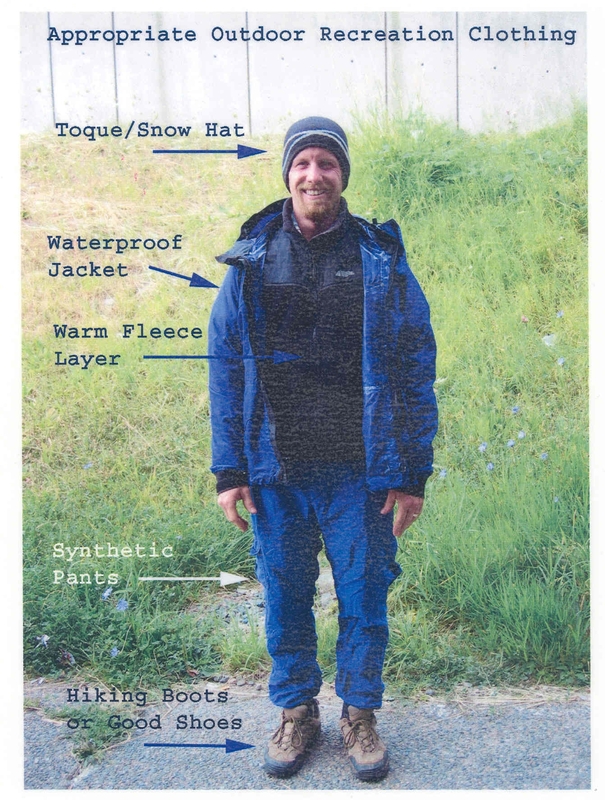 What do I wear on a Outdoor Recreation Event?